Part 1: Where do NTFF Directors re-charge after the film festival? 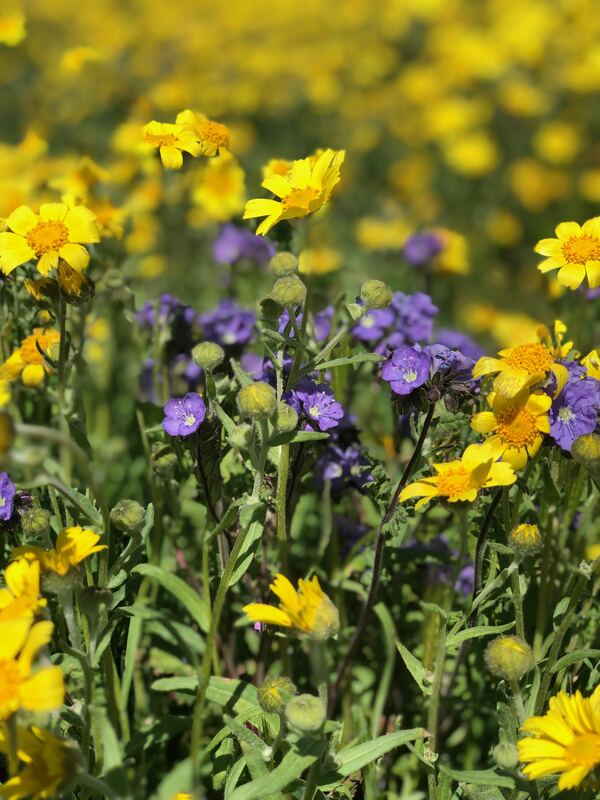 Recently Holly took a day to explore the wildflowers at the Carrizo Plain National Monument. 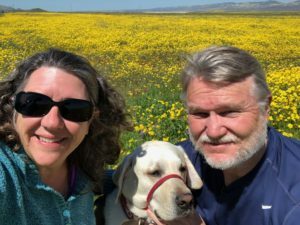 Taking along her husband David and favorite canine companion, Wilson, the 3 embarked on a delightful journey of exploration. 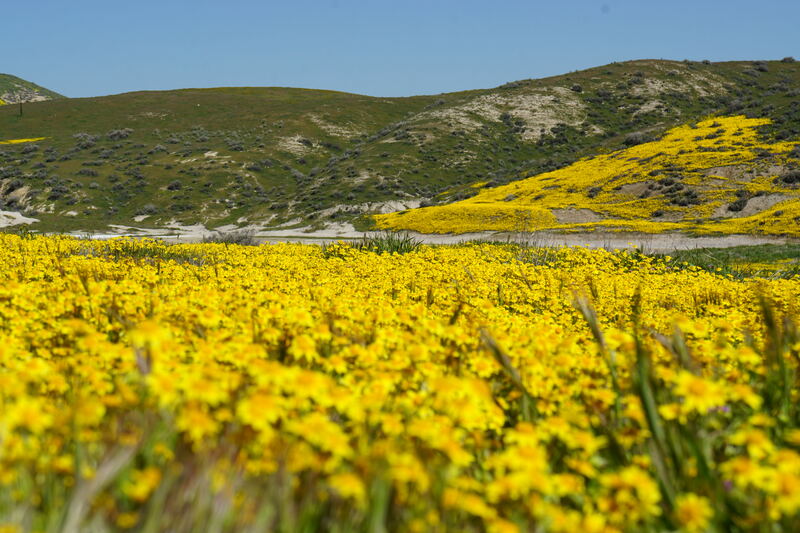 The Carrizo Plain was ablaze with flowers! 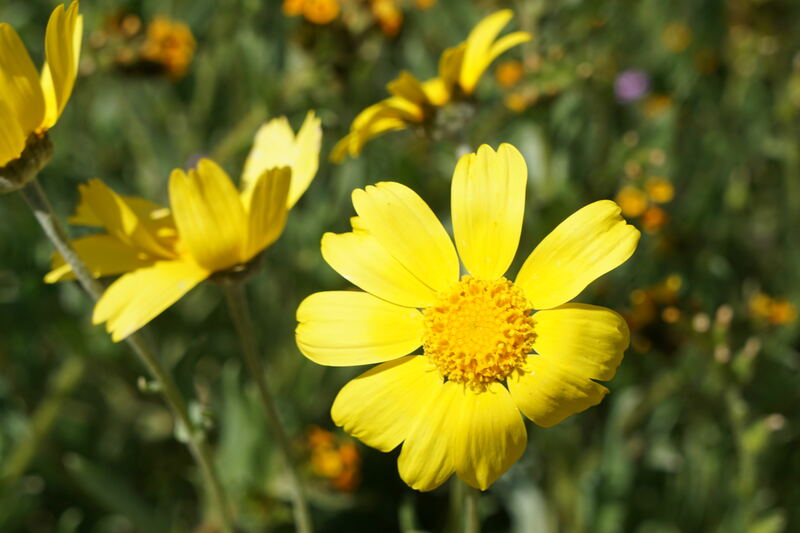 The most predominate were Hillside Daisies (Monolopia lanceolate) and large swathes of beautiful California Goldfields (Lasthenia sp.) 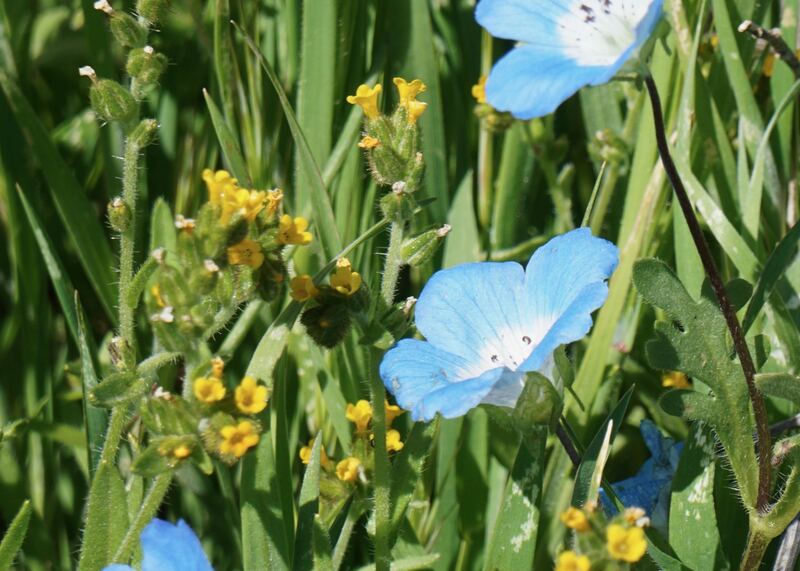 Splashes of blue from the Great Valley phacelia (Phacelia ciliate) poked out from the grasses, and they were also able to find owl's clover, lupine, and many other species of flowers that Holly is ashamed to admit she doesn't know their names...yet. There were quite a few people on the main road, so David steered their trusty truck off onto a side track into the hills. Away from the crowds, it was easier to stop and take in the beauty and the vistas. Along the way they discovered camping areas that were secluded and surrounded by a landscape that was breathtaking. Marking several sites, the trio vowed to come back and tent camp at some point in the future. 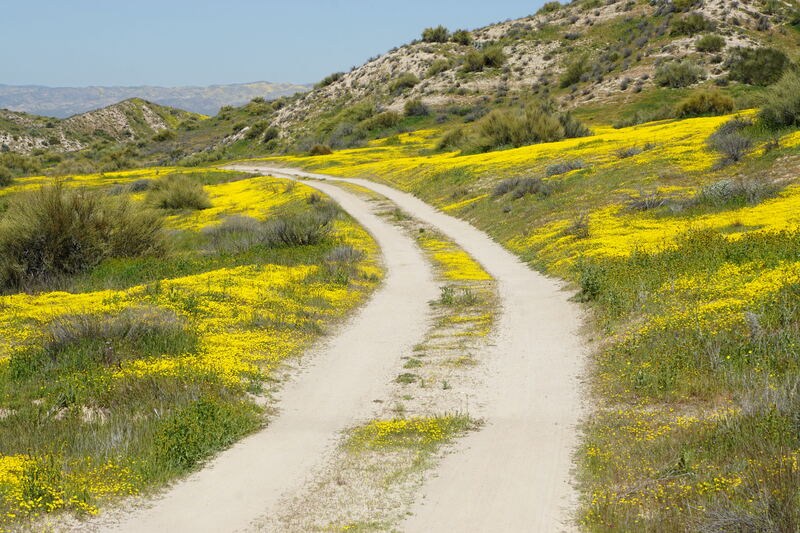 Although hours on Carrizo Plain were spent oohing and aahing at nature's spring color palette, it never got old. Each turn in the road brought something new to exclaim over until finally, replete, they turned the truck toward home. 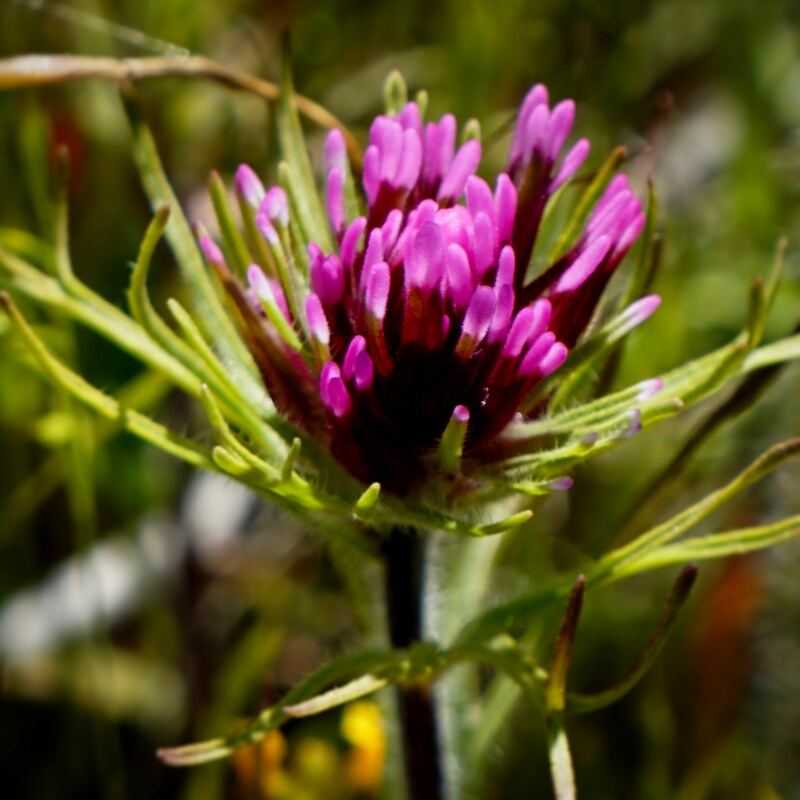 Nature not only providing restoritive balance after the film festival, but also serving to re-energize and re-focus Holly's desire to make the 2020 NatureTrack Film Festival the best one yet! ← Words of praise for the NatureTrack Film Festival!